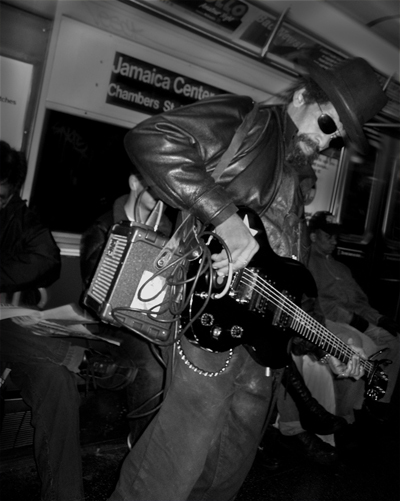 I always see this musician performing on the J train, I always give him something as I'm impressed that he goes through the trouble to bring his own mini-amp with him. This page contains a single entry from the blog posted on March 31, 2008 12:26 AM. The previous post in this blog was Animal Crossing Diary. The next post in this blog is The Condos are Due on Keap Street.